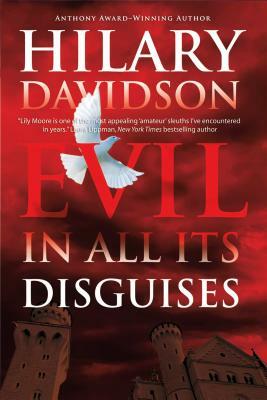 Anthony Award-winner Hilary Davidson weaves a thrilling story of paranoia, vengeance, and murder with "Evil in All Its Disguises." When travel writer Lily Moore joins a group of journalists for an all-expenses-paid press junket to Acapulco, Mexico, she expects sun, sand, and margaritas. Instead, she finds that the Mexican city, once the playground of Hollywood stars, is a place of faded glamour and rising crime. Even the luxurious Hotel Ceron, isolated from the rest of the town, seems disturbing to her, with its grand, empty rooms, ever-watchful staff, and armed guards patrolling the grounds. After Skye disappears suddenly, Lily suspects that her friend is in grave danger. But the hotel's staff insists that everything is fine and refuses to contact the police. Only after Lily tries and fails to leave the Hotel Ceron does she discover the truth: the journalists are prisoners in a gilded cage. "Smoothly sinister characters and a creepy Poe-like atmosphere keep the pages turning." "Publishers Weekly" on "Evil in All Its Disguises.